Discussion in 'ESET Smart Security' started by Question2, Feb 25, 2012. Windows 7 keeps focusing on my taskbar. 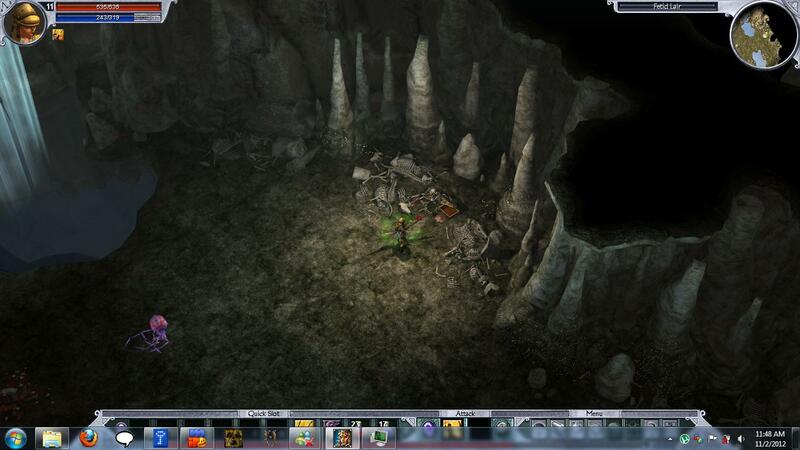 Example : I have a game running in windowed mode, and the task bar randomly appears like in the pic. If i am running a full screen application, it will minimize to focus on the taskbar. If i only have my browser opened, windows focuses on the taskbar. To give you an idea what it is like, open your browser and click on your taskbar. Windows un-selects your browser and selects your taskbar. Ive scanned with malware anti-bytes and ESET smart security 5 but found nothing. Is it possible that this is a very hard to detect malware? It is much more likely to be a video card driver issue or Aero issue than malware. Alright any ideas on how to track it down then? Well, are the drivers for your video card up to date? Just updated it, but that doesn't seem to have done anything. Hard to say then, but it is a well known issue, and it has been happening all over since Vista. Just one of any number of examples. I don't know exactly what it is that triggers this on some systems, but I do know that it is quite common, and it is a driver or Microsoft issue/bug, not malware.